Published by Violent Publishing/Poor Music. Recorded at Violent Studios, The Netherlands. B1 reconstructed & mixed for Digidance, The Netherlands. B2 remixed for Digidance, The Netherlands. ℗ Violent Music b.v., The Netherlands - 1998. 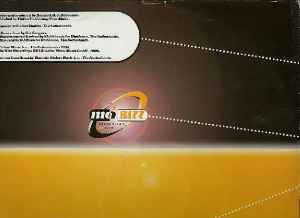 © Mo'Bizz Recordings GSA Division/Motor Music GmbH - 1998. Licensed from Breakin' Records/Violent Music B.V. - The Netherlands. Marketed by Motor Music GmbH, Hamburg. Runout groove: "We Like To Party"